Find out about about the game development, events and news at our studio! We’ve got another update to fill you in on what’s happening at Clever Endeavour and with Ultimate Chicken Horse. This fall is proving to be quite eventful, with our Switch launch late last month and a bunch of events. The day before the game launched on Switch, we heard a report from a press person about the game crashing when playing in German. We looked into it and found that they were right… in some cases, and in some languages, the game would crash when returning to the Treehouse lobby. Though we had tested previously in lots of different languages, somehow we managed to miss this, and somehow Nintendo also managed to miss it when doing their certification testing. This is pretty surprising, seeing as they were extremely thorough and caught things that we never could have imagined testing for… that said, it slipped through the cracks. That’s where we’re at now! The updated version is in certification and hopefully it will pass and come out soon, and all of our problems will be solved. Well, most of our problems, and hopefully the crashes, will be solved. 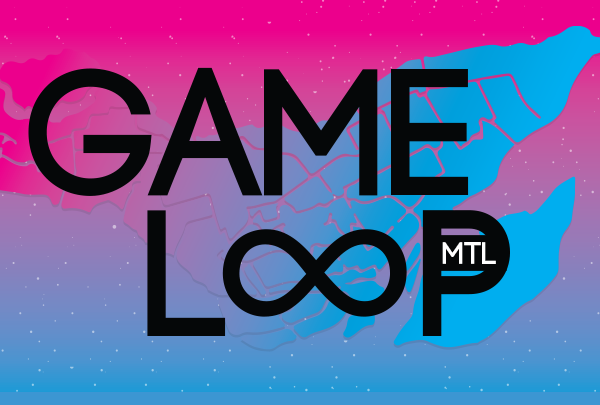 Last weekend, Rich and Kyler participated in an event here in Montreal called GameLoop. The event is based on the idea that sometimes the most important learning at conferences happens outside the conference halls, in more casual conversational format. GameLoop considers itself an “unconference”, with an emphasis on round-table discussions. One of the coolest things about GameLoop is that the schedule is made on the spot, so you don’t know what you’re going to get when you show up. People pitch ideas for talks / discussions while the organizers write them down on giant post-its, and then everyone votes on the discussions by placing stickers on the post-its of the ones they’re most interested in. Once that’s done, everyone breaks up into the rooms they want to go to in order to attend discussions, and we chat. I (Rich) always find it to be one of the best events of the year, if not the best, and I learn a ton. This year we sponsored the event and are super glad to be able to do so, and want to continue supporting it as much as we can. Another interesting couple of events coming up are the MEGA (Montreal Expo Gaming Arcade) and MIGS (Montreal International Game Summit). The first is an expo where people showcase their games, and is only in its second year of existence. The first year was a huge success, and saw many more exhibitors and fans than expected… this year should be even bigger. MIGS is more of a typical conference, like a mini-GDC that happens on the east coast. Unfortunately it’s held in November in Montreal which isn’t the warmest time, but people still come in from around the world to attend and speak. This year, Rich will be running a panel called HowStuffWorks: A Deeper Look Into Production Methods at 3 Indie Studios. The event is usually pretty big, and last year the keynote was a fireside chat style talk given by the developers of the ridiculously popular (and ridiculously good) game Cuphead. We’re working on it! We’ll tell you more soon. Cool things are coming. Follow our Twitter for updates! GDC and the Transformidable Patch! The Transformidable Update Launches on March 4th! Console Updates, TwitchCon, and Community Stuff! Happy Stories Are For Sharing! Switch Update, New Team Member, Fan Art and more!